Mishcon de Reya’s LAB – a 10-week opportunity for legal tech startups – is open for applications. 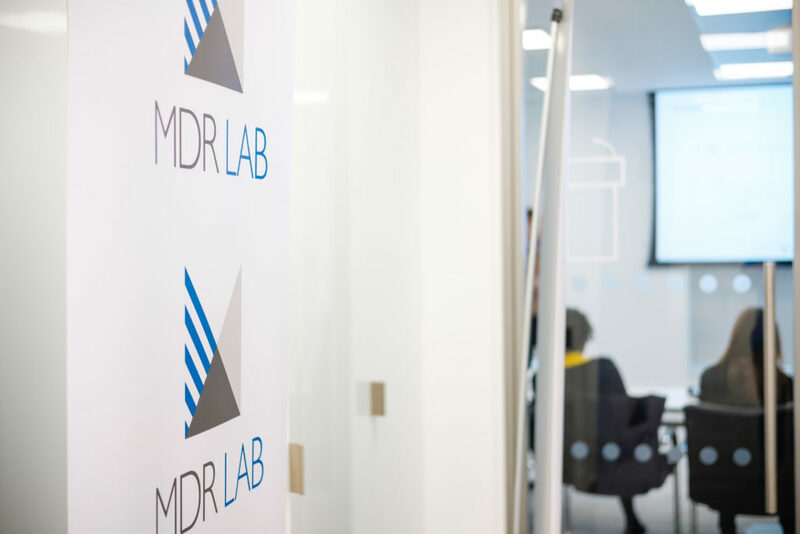 The MDR LAB programme gives startups access to the end user; input from Mishcon’s legal and business teams; honest, direct feedback; and a real sense of being incorporated into the firm. Eleven companies have benefitted so far – three programme alumni give their thoughts below. 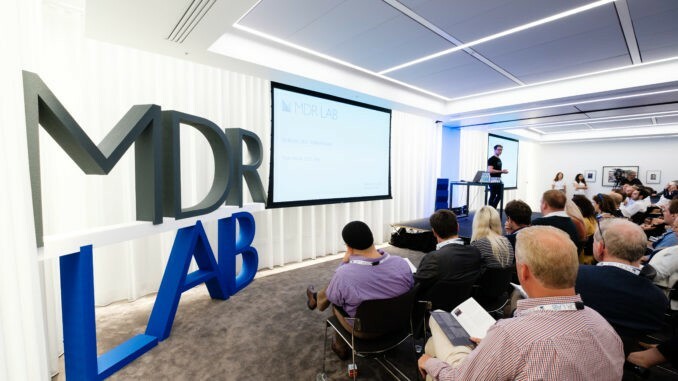 Applications for MDR LAB 2019 are open now until 17th Feb. Apply: here. 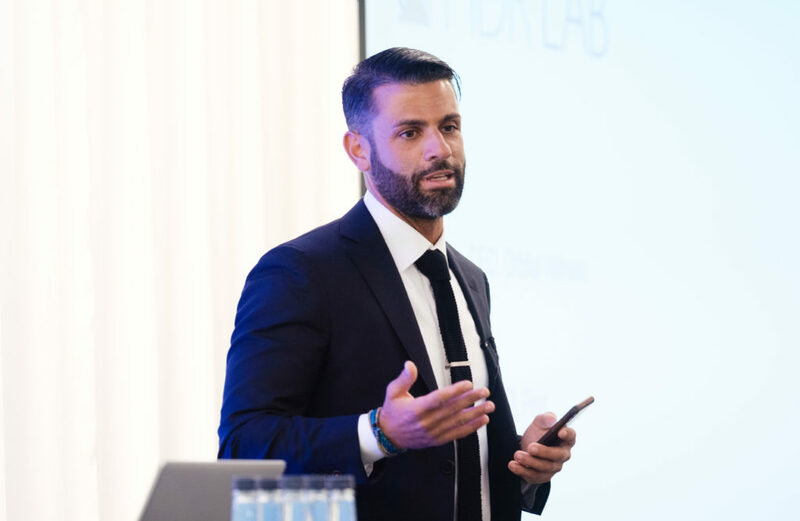 Ryan Alshak, CEO and Co-Founder of Ping, part of MDR LAB 2017. Why did you apply to the LAB? There is no other programme out there that lets you get unfettered access to a potential client. How does a company pass up on the opportunity to ask every question and learn from the inside? Oh, and Nick West. We at Ping refer to him as the Don Quixote of legal tech. What was your best moment from the LAB? Truthfully, when Kourosh baton twirled Nick after demo day. We did our first live demo and seeing the crowd’s reaction to watching a timesheet being created in real time caused Kourosh to get a little too excited. What surprised you the most about the LAB? I was a lawyer and so I thought I was a domain expert. I couldn’t have been more wrong. Lawyers are only one part of a law firm (albeit an important one). But management, IT, cyber security are all just as important to service when selling software to firms. What were the main benefits of being in the LAB? We learned what it meant to be an enterprise software company. Not only did we have lawyers telling us what they needed as users but we had the C-level telling us what they needed us buyers, IT telling us what they needed as implementers and cyber security telling us what they needed as risk managers. What has happened since leaving the LAB? Where do we start? Off the momentum of the LAB, we raised a seed round in Silicon Valley, closed our next partner firms, hired the best engineers in the world and we have no plans on slowing down for a very long time. What are your top 3 dos and don’ts you’d recommend future participants to get the most out of the programme? What would you say to a startup unsure if they should apply to the LAB? Who doesn’t want to go underneath the Emperor’s robes? 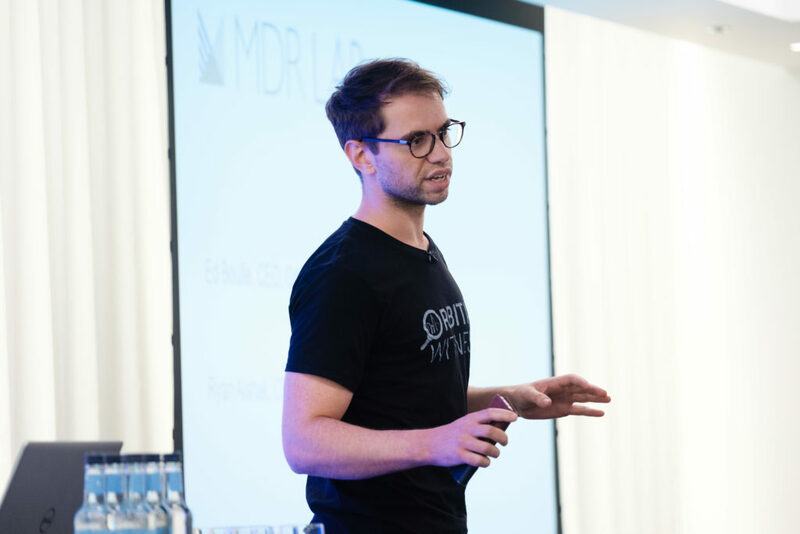 Edmond Boulle, CEO and Co-Founder of Orbital Witness, part of MDR LAB 2017. The founding team of Orbital Witness were working in the space industry when the LAB came along (hence the ‘Orbital’!). We were obsessed with the idea of using satellite imagery and property data to help visualise constraints and interests in land and property. The LAB seemed like the perfect opportunity to test those early ideas and learn a lot in a short space of time about the property transaction process. We set up the company a few weeks before the LAB began – really in order to apply! The whole process of the LAB was really exciting for us as we hada collection of ideas going in and a demo day to prepare for at the end. During the programme we had to assimilate a lot of information and jettison a lot of early assumptions. I think a standout moment was when we produced a clickable prototype and it sort of ‘clicked’ with the lawyers we were showing it to. It was a sign that we were really on to something. Without doubt the enthusiastic engagement of the lawyers and other members of the department. These are really busy people but everyone wanted to be involved in the programme and made time to meet with us (often on multiple occasions). We had access to our future customers in a way that wouldn’t otherwise have been possible. Coming in as outsiders to the world of the real estate lawyer, it provided a safe space to ask the basic questions, show our thinking and not be afraid to make mistakes. This was also the case when we piloted our first release of the platform with Mishcon a year later – we still felt pressure to deliver a great service but it really helped to have a customer who was primed to help us improve the product. How long have you got? 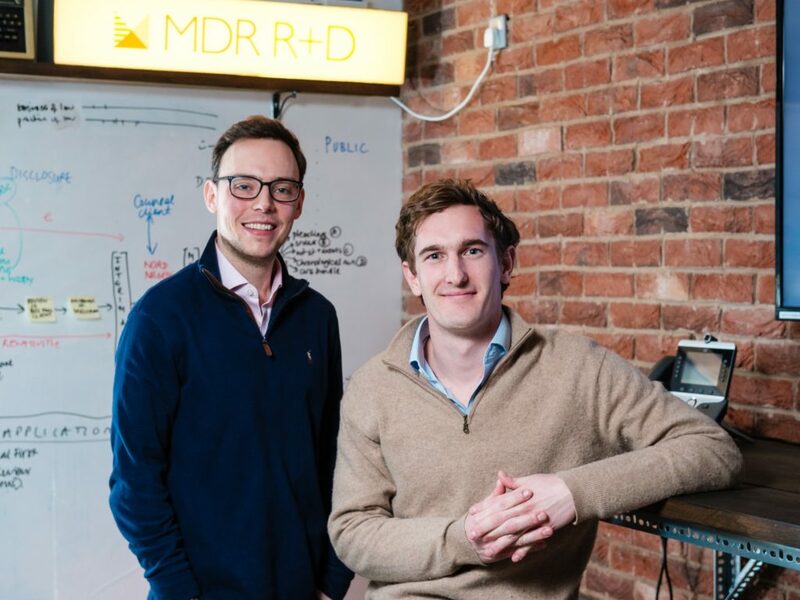 On the strength of the concept product that came out of the LAB we were selected by HM Land Registry and Ordnance Survey for their first joint PropTech ‘Geovation’ accelerator programme. We also won some further incubation funding from the European Space Agency. We used that funding, alongside a small pre-seed equity funding campaign, to bring on developers and build a first version of the platform. We took that product to pilot with Mishcon in April 2018. Fast-forward a bit and we are proud to count Mishcon among a growing array of great customers in the legal, insurance and retail sectors. We’re growing the team and making rapid progress on our platform that provides legal risk analytics on land and property. In short, Orbital Witness is really taking off! Do be present and make time and headspace for the LAB at management level. Don’t isolate yourself from the lawyers whilst working on ideas or get overly distracted by other demands of the business, otherwise the opportunity the LAB presents is wasted. Do speak to everyone you can – not just the lawyers. Listening to people at all levels in finance, operations, IT can really help later on! Don’t try to get on the tube at Holborn between 5-6pm. Never going to happen. We were still at concept stage when we applied and as non-lawyers, we had a tonne of assumptions about how lawyers worked and used technology that we needed to test and understand. The LAB provided the perfect outlet for doing this. Also, we’d heard awesome things from several startups from the first cohort! The ‘Aha!’ moment we had on week two following a marathon whiteboard session with lawyers when we realised that we there was a major need for the product we were building. Demo day was also amazing and a whirlwind of networking with legal tech professionals and prospective investors! Quite how embedded in the firm we were during the 10 weeks and how open people were to working embracing tech to change their ways of working. The energy and enthusiasm from the lawyers was contagious and a great surprise to be on the reciprocal end of creative energy which isn’t often as an entrepreneur! I don’t know any other firms that take such a proactive approach to technology. During the programme, the level of integration and access we had into any aspect of the firm. We had multiple meetings with people from all parts and levels of the business who were all immensely generous with their time and enthusiastic about the potential of tech to improve legal services. This enabled us to go from concept to first product over the 10 weeks which is the true meaning of an accelerator. The LAB certainly adds a lot of credibility to very early stage startups too. The biggest thig for us was having a product, clear idea of the problem we were solving, fantastic relationships with a global law firm and of course an investor. When Mishcon decided to exercise their option to invest in us, it was huge, as it basically meant the rest of our funding round filled itself. We could attract the likes of Alex Chesterman, the founder of Zoopla to back us which gave us enormous confidence to go and attack the opportunity. With the £570k of funding from this round (plus a grant) we could hire a CTO, software engineer and outsource tech team to ramp up our development speed and now have paid pilots running, expecting to launch a second version of the product in mid-February. Dos: 1) meet as many people as possible in MDR and spend time on fostering relationships with key stakeholders – these relationships are golden after you leave 2) base yourself in the LAB more than 90% of the time 3) invest time in getting to know the other startups – some will be further ahead or behind but there’s always lots of shared learnings and amazing camaraderie between the startups as you’re going through similar things but likely in different markets. We became very close with the other startups and now feel comfortable we have a way into tech in NY or Tel Aviv! Don’t: Shy away from firm events and socials. There are summer parties and plenty of networking drinks. These proved invaluable for not only meeting people in the firm but also external professionals interested in tech who were keen to introduce us to prospective customers and investors. If you’re still working through your product market fit or aren’t in the UK market but would benefit from exploring how your product might work over here then I couldn’t recommend the LAB more. For us it’s been a game changer and worth every second.